Is NYFC a good thing for the MLS? 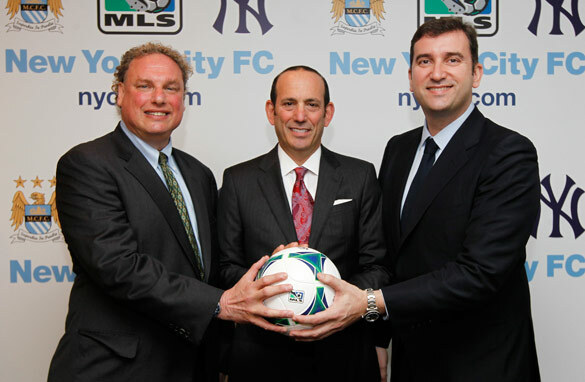 New York Yankees president Randy Levine, MLS chief Don Garber and Manchester City CEO Ferran Soriano revealed the new franchise plans. Major League Soccer prides itself on its rapid expansion. And with good reason. Just eight years ago, there were only 10 MLS teams alive and kicking. That tally will now rise to 20 with the all-new Nycfc set to debut in 2015. But does their arrival on the scene spell double-trouble for the league and are MLS fans as a whole being short-changed by it all? There’s no doubt that relatively-speaking these are boom times for the soccer scene in the States. Attendances overall are up. Just go to any Portland or Seattle home game and you’ll witness a vibrant, passionate crowd that would put a lot of their European counterparts to shame. MLS is a sound business model and very much on the right track but I just can’t help wondering to what extent the proposed New York City FC multi-million dollar deal might be risky business. 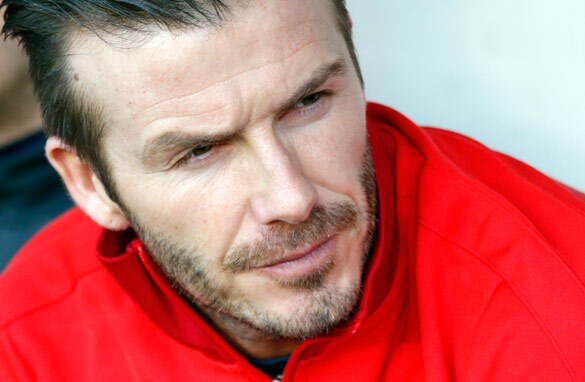 Sound financial planning has always been key to the league and its mantra but the rule-book went out the window to some degree when David Beckham signed on with the L-A Galaxy seven years ago. The stringent salary cap was relaxed and in came the three-designated players rule. Now think about it for just a moment. Would that really be enough for the new franchise’s owners? Remember who they are after all! Manchester City belong to Sheikh Mansour and as a club – in terms of spending prowess- money is truly no object - and he will demand success. And what should we make of the Yankees involvement in all this? I still recall their marketing tie- in with Manchester’s “other” club United back in the early 2000s. It didn’t last and there always seemed to be a lack of clarity over how it all worked? Will things be different this time around? It would appear so and that can only be good news for City who’ll be benefit from the Yanks’ stature and local clout. As I understand it- the most famous brand in baseball will be part-owners and will certainly have a huge say in vital issues like where in fact the new club will play but again we're left wanting to learn more about what exactly their role will be. I have to conclude this is a great news for footy fans in the New York City area but what about the rest of the country? The Red Bulls' average home attendance already falls well short of its 25,000 capacity and the Big Apple also has the reformed New York Cosmos on the scene too. Is this potentially soccer over- saturation New York style? I realize it's the allure of the lucrative Nyc market and all that but has the league missed a great opportunity to truly put new meaning into the word " expansion"? For example- take the huge area of land known as the Southeastern USA. Not an MLS franchise in sight. Why? Where I live in Atlanta I'd have to travel some nine hours by car to go and watch my "local" team- DC United in Washington! Having grown up in North West England- the City fans I know would never have dreamed of seeing the day their club would launch a spin-off franchise in the United States - with the added benefit of being able to loan out players to the MLS side. Most I'm quite sure would rather the club be fully focused on prioritizing the search for a new manager or improving their woeful recent Champions League record. In fact- they might even be wondering if they'll possibly even get to see Yankees baseball at the Etihad some day! I have no doubt the MLS' newest franchise will soon become the league's undisputed super-power backed by the world-wide might of City and the Yankees. I'm left with this nagging doubt though. Will the other 19 be able to seriously compete? If so, how? The MLS landscape has changed rather dramatically now and it all seems to have happened quicker than a New York minute. David Beckham's career maybe in its twilight but he is still a world beater in terms of earnings. (Getty Images). Watch the CNN Football Club every Thursday at 1700 GMT and join the the show's social debate on Facebook and Twitter. Andy Murray is unlikely to win Wimbledon this year, despite his recent success at Queen's Club. I wonder if Andy Murray ever curses the fact that he’s playing in an era with two of the greatest tennis players of all time? I suspect he does. Indian batsman Sachin Tendulkar drives his team forward against rivals Pakistan. Sometimes a sporting event is more than just a game. Sometimes the arena for competition is emblematic and symbolic of a greater reality, in which the twists and turns of a match carry a wider significance. 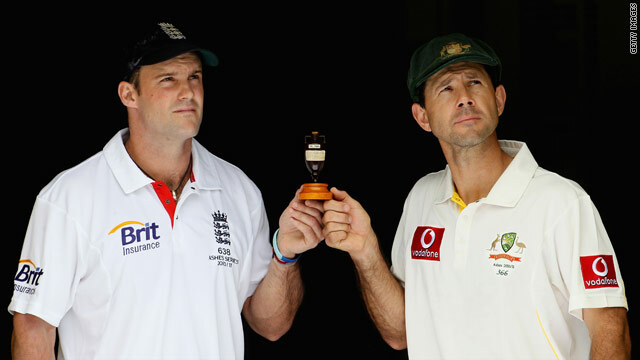 Opposing captains Andrew Strauss, left, and Ricky Ponting will be hoping their team lifts the Ashes urn. Having reported from Australia on every day of every Test match during England’s 5-0 whitewash in the last Ashes contest there, I believe Andrew Strauss and his men face a mammoth task to win this series. Yes, England’s team is more settled than Australia’s and, yes, they have shown better recent form and a more coherent and consistent selection policy. However, no Ashes series was ever won with superior rhetoric before the action got under way. If that sounds obvious, it’s worth transporting you back to November 2006, just 14 months after England won back the famous little Ashes urn in a scintillating contest on home soil -– and they had high hopes of winning “Down Under” for the first time in 20 years. Barca v Real 2010: The greatest of all Clasicos? 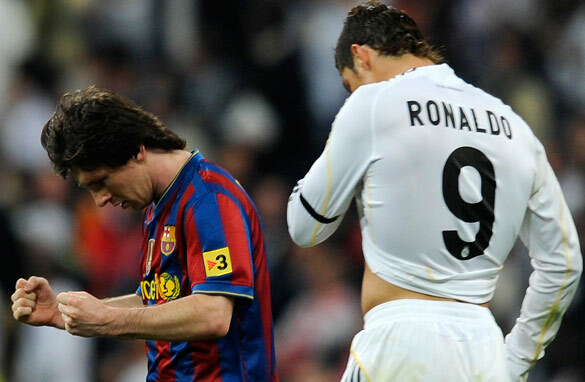 Cristiano Ronaldo (R) and Lionel Messi go head to head when Barcelona play Real Madrid. The best Clasico of all time? The upcoming clash between arch rivals Barcelona and Real Madrid comes at a time when both teams are at the top of their game and beating all sorts of records in Spain. We should be in for a treat! I watched my first Clasico when I was seven or eight years old. I distinctly remember Diego Maradona running around with his small shorts and big mop of hair. Throughout the last three decades there have been so many great players to shine in this contest, which is more than a game between rivals, it is a battle between regions. Will this be the best clasico of all time? 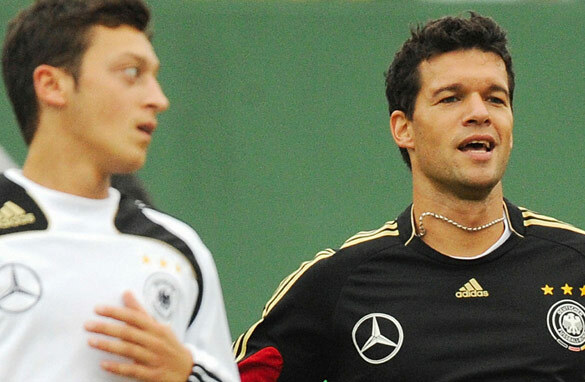 Monday’s match at the Camp Nou will see the top two footballers on the planet going head to head. Cristiano Ronaldo of Portugal has 15 goals in 12 league games, the most scored by a Real Madrid player at this stage of the season since 1937. Not only is he scoring goals, he is making them. Just ask "El Pipita," Gonzalo Higuain. Most of his seven goals have come from the boots of CR7. Chelsea's Florent Malouda celebrates another goal for the Blues. 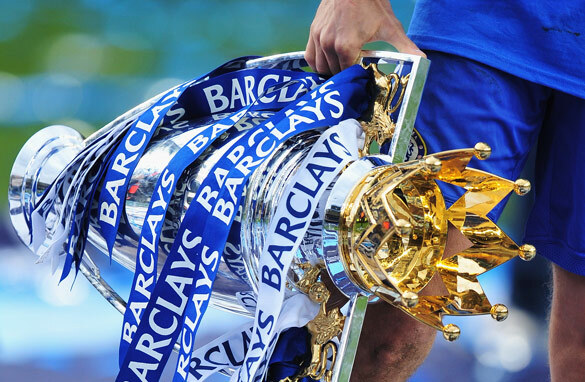 In England, many people are already crowning Chelsea as Premier League champions. After five rounds of fixtures, apparently, there are several commentators and pundits who believe the Blues have already proven they are the best team in the country. Now if you take a look at the numbers, it is easy to see that Chelsea have looked good so far. They have five wins in five games and they have scored a whopping 21 goals. You don’t need to be a genius to figure out that’s an impressive average of over four goals per game. Carlo Ancelotti’s side have also played some great football at times, and to concede only one goal in the process is also noteworthy. So, we have established that the Blues are doing well. But are they on their way to another title? Uh … not so fast. At this point, I would like to interject with a reality check.